Junior Alexis Sanchez Prado ran workshops for young people in four cities across Peru, educating children and teenagers about their rights.The seminars presented participants with the opportunity to speak openly about issues that are important to them. Many young people across Peru are unaware of their rights, especially when it comes to voicing their opinions. Junior aimed to educate children and teenagers across the country by hosting workshops in four cities: Lima, Andahuaylas, Iquitos and Piura. During the seminars, the participants expressed their opinions on seven main topics: education, health, environment, media & communication, participation, child labour and violence. To submit a report to the United Nations’ Committee on the Rights of the Child (CRC) about the fulfilment of Children’s Rights in Peru from the perspective of children and teenagers. All of the children and teenagers involved were active participants in the workshops, as they were eager to learn more about their rights and discuss important issues with other people their age. Since most of the participants were unaware of their rights to express their opinions, the workshops were essential in helping them see their voices have value and that they have the power to make a change in the world. The seminars presented participants with the chance to speak openly while making them aware of their rights, along with the importance of expressing their opinions about the world around them. 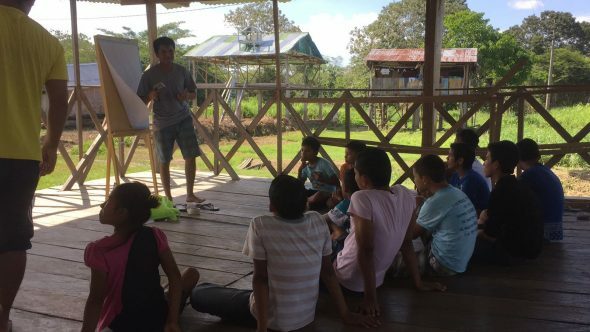 Junior’s project is sure to have a lasting impact, as participants told him that they will pass on what they learned in the workshops to other young people across Peru. 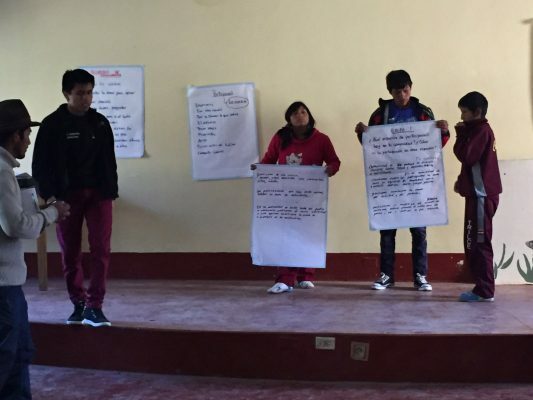 In running workshops across Peru, Junior has learned that a simple seminar can make a big difference in the world. The project has made him think more about the power of children, and how they have the ability change the world. He enjoyed engaging with the workshop participants, learning more about their opinions on important issues like education. We do not need to wait years to let children and teenagers know about how important they are within our society and what they can do to improve their lives and the lives of others.